When you pull the Loopo Lite out its tiny stuff sack, it's ok if you are confused at first. There's no metal hardware (no buckles at all for that matter) and it's so light that you'll probably be wondering where the rest of it is. 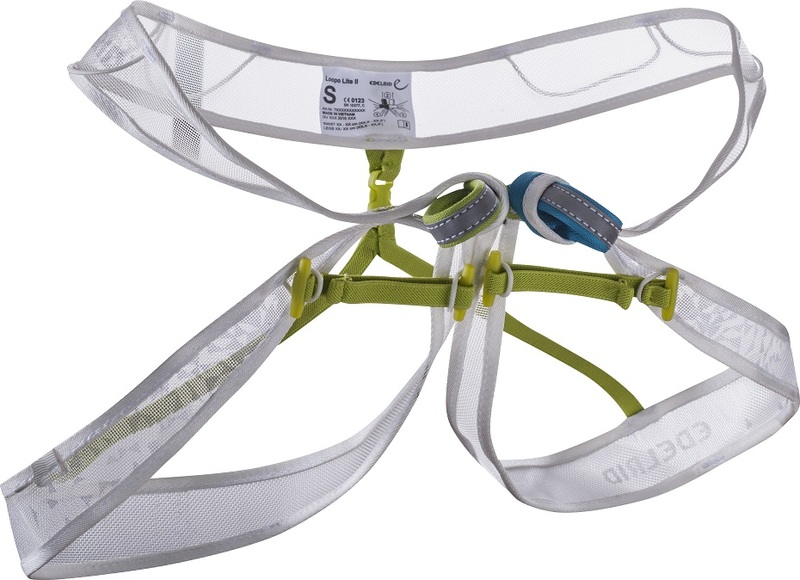 That's because Edelrid went all-out to make the lightest mountaineering harness imaginable. Using a reflective color-coded loop system, you secure the Loopo Lite by tying into the loops or clipping them together with a carabiner. No waist adjustment, no doubling back; just clip in. Elastic adjustment toggles and 4 small gear loops round out this fully-featured, featherweight package. Reflective tie in loops are easy to find by headlamp. 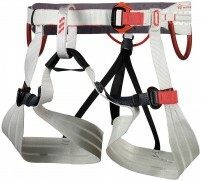 Adjustable elastic leg loops allow harness to be put on without removing skis. Four gear loops offer plenty of organization. 82 grams in size L! Bottom Line Throw it in the pack just in case.